Fitment: Can-Am Maverick X3. Sandcraft Motorsports has once again raised the bar! 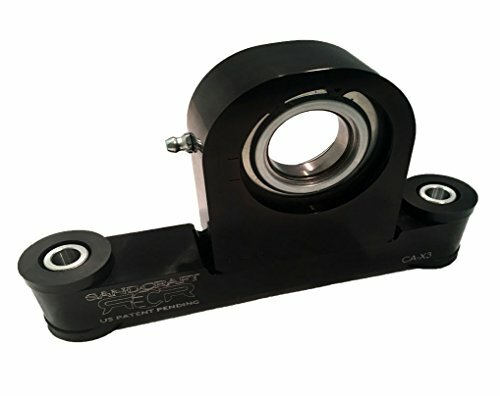 With over 1 year of testing we are proud to announce the brand new GEN3 Can Am X3 carrier bearing. We have created and patented this new design to be a GREASABLE bearing while having 3 layers of protection to keep dirt, sand, mud, and water out. Our all new auto set angle & 2 piece design will lower installation time dramatically. Auto set angle has never been easier. It allows you to press the bearing onto the shaft and install with minimal effort. Side loading the bearing leads to pre-mature wear and failure. The auto set angle eliminates this from happening to your car. We are the ONLY COMPANY in the world with this design so don't waste your time with the copycats. If you have any questions about this product by Sandcraft RCR, contact us by completing and submitting the form below. If you are looking for a specif part number, please include it with your message.